Every year, millions of people discover the beauty of the western White Mountains by foot. With incredible panoramic views, classic New England hiking trails, and beautiful native wildlife, the area has become a popular year-round destination. Summer is the perfect time to get out on the trails – the days are long, the temperatures are warm, and the skies are mostly blue.  Franconia Notch State Park is the most visited area in the western White Mountains. Home to the Old Man of the Mountain, Flume Gorge, and countless miles of recreational hiking and biking trails, there are many reasons why so many people flock to the state park. Unfortunately the parking can be challenging. Thanks to a couple of our local experts, we’ve compiled a list of some of the best hiking trails that don’t require waking up at 5 am to find a parking spot. The Lincoln Woods Trail is one of the most popular hiking trails in the White Mountains. Located off the Kancamagus Highway, the Lincoln Woods Trail parking lot, which can fit 170 vehicles, is about a few miles from the center of town. The 2.9-mile out-and-back trail follows the path of the old East Branch and Lincoln Railroad along the Pemigewasset River. If you’d like a longer hike, then you can take one of the many side trails off the Lincoln Woods Trail. At about 2.6 miles, the Lincoln Woods Trail meets with the Black Pond Trail. Here you can hike another 0.8 miles until you come to the tranquil Black Pond. Surrounded by conifers, Black Pond is a great place to enjoy a snack and cool off in on those hot summer days. Another great option is the Franconia Falls Trail. 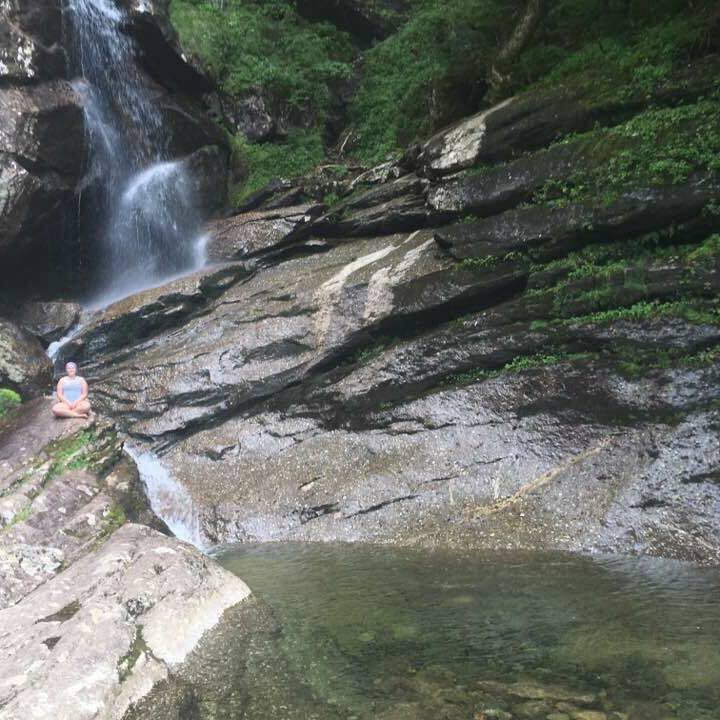 Located about 0.2 miles from the Lincoln Woods Trail and Black Pond Trail junction, this 0.4-mile trail ends at the picturesque Franconia Falls. If you choose to hike all three trails, you’ll end up hiking approximately eight miles. Mt. Flume is commonly referred to as one of the “easier” 4,000-footers in the White Mountains. From the Lincoln Woods Trail, you’ll hike about 1.4 miles until you meet the Osseo Trail junction on the left. From the junction, you’ll hike another 4.1 miles where you’ll take the short Franconia Ridge Trail to the summit of Mt. Flume where you’ll be rewarded with incredible views. The Osseo Trail is relatively flat before it turns steep with multiple switchbacks and a few wooden staircases. Roundtrip, you’ll cover roughly 11 miles. Located in Woodstock, the Beaver Brook Trail is one of the most challenging sections of the Appalachian Trail. The trail runs along a set of unnamed cascades until you climb up to the summit of Mt. Moosilauke at 4,802 feet. From the top of Mt. 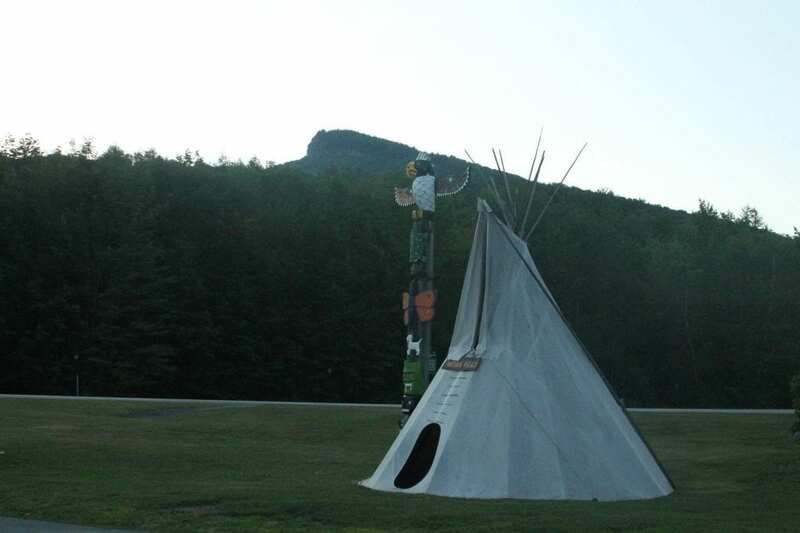 Moosilauke, you have panoramic views of New Hampshire, Vermont, and even as far as New York. The trail to the first cascade is easy (one-mile roundtrip), but the trail quickly turns steep and difficult above that. It’s approximately two miles roundtrip to the upper cascades. Another great alternative to the Beaver Brook Trail is hiking Mt. Moosilauke from the Dartmouth Ravine Lodge off Rt. 118. It’s a 7.5-mile roundtrip loop trail. The Indian Head Trail is a 3.5-mile out-and-back trail that summits the peak of Mt. Pemigewasset. Due to a nearby waterfall, the trail does tend to be wet, especially after a bit of rain. There is a steep climb towards the top, but once you see the views from the top, you’ll forget all about the difficult parts. Bridal Veil Falls is one of the most popular waterfalls in the region. The five-mile roundtrip hike leaves from the small parking lot on Coppermine Road. Get there early as the lot fills up quickly. The path is relatively easy and crisscrosses the Coppermine Brook several times. Bridal Veil Falls’ main cascade shoots water from a 50-foot cliff into several nearby pools. Pack a picnic and enjoy an afternoon at the falls. Standing at 4,501 feet, Mt. Garfield is one of the 48 4,000-footers in the White Mountains. The main trail, Garfield Trail, is a 9.3-mile out-and-back trail that is rated as moderate due to some steep sections. The views from the summit are spectacular, and you’ll often find Jays willing to eat out of the palm of your hands. Despite just making the cut at 4,003 feet, Mt. Tecumseh might be the smallest 4,000-footer, but she is a moderately strenuous hike. The Mt. Tecumseh Trail from Tripoli Road is a more gradual and quieter ascent compared to the trailhead from Waterville Valley. While most of the trail is smooth, the 3.1-mile trail to the summit ends with a steep, rocky climb right before you reach the top. Total hiking distance from Tripoli Road is roughly six miles roundtrip. Still not sure where to go on your next hiking adventure? Just ask one of the many locals in town. Steve at The Mountain Wanderer on Main Street in Lincoln will be more than willing to share his favorite hiking trails. While you’re there, make sure to pick up a few hiking guidebooks and trail maps. If you’re looking to conquer the 4000-footers this summer, don’t forget to purchase your White Mountain 4000-Footers Passport! If you’re looking for a place to stay after a long day of hiking and interested in meeting some fellow hikers, hunker down for the night at The Notch Hostel and plan your next adventure. The White Mountain National Forest is celebrating its centennial this year making it the perfect excuse to get outdoors and go hiking this summer. We hope to see you on the trail!